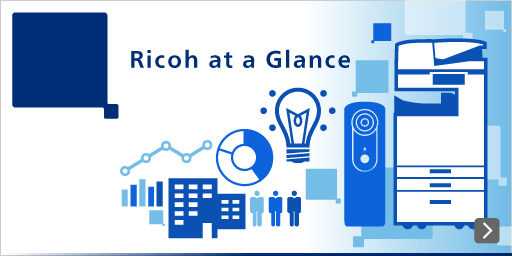 The Ricoh Group structures R&D (Research and Development) so as to obtain customer knowledge, anticipating the future based on global economic, social and technological trends, aiming to achieve more comfortable work styles. We have defined the value we provide as “RICOH Brand Benefits,” built around three core values: “Harmonize with the environment,” “Simplify your work and life” and “Support knowledge management.” Our innovative technology development leads to products and services that delight our customers. Our technology development toward designing solutions is as follows. At the sales and support stage, we create value for our customers in collaboration with them. This includes promotion of our developer program, and system solution / customization development at Ricoh Technology Centers around the world, based on a marketing strategy.